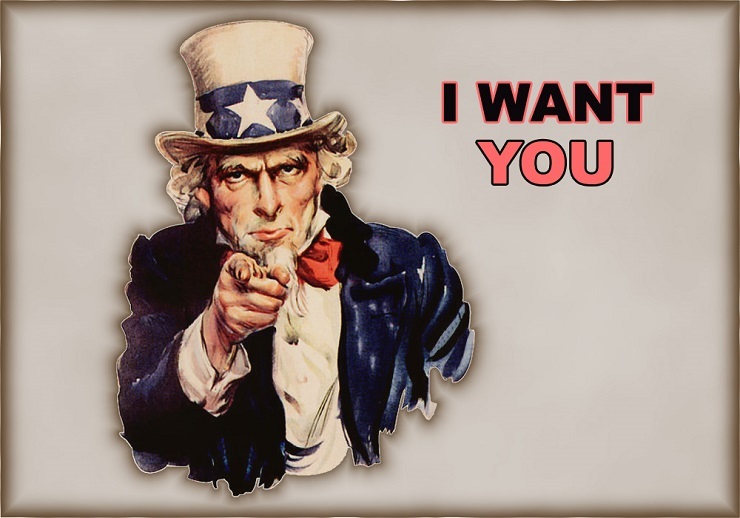 Uncle Sam Wants You High on Digital Drugs! Over the last century, American intelligence services fully realized the advantages that a government can get if it’s in possession of psychotronic weapons, since it would then have a tool to deliberately affect human psyche. As it’s already been mentioned, nobody in the US establishment is making a big secret of the fact that these weapons are designed with the goal of influencing a potential enemy into the destruction of his public and state institutions, triggering mass riots and the degradation of a society to the point of a complete destruction of a state. The United States has already successfully test crowd control devices that were first used in the suppression of mass protests in Ferguson, Missouri back in 2014. Back then local police departments with demonstrating the capabilities of the top of the line equipment designed for the suppression of civil protests, including the so-called Long Range Acoustic Device (LRAD) or just sound cannons. Those LRAD devices are capable of transmitting voice commands at up to 162dB up to 5.5 miles away. However, what is disturbing that is to be caught in the sound wave that LRADs are producing is going to experience excruciating pain. A series of secret studies conducted in this field has led the US intelligence to developing a particular interest towards the development of low-frequency sound waves transmitters that can be used as psychotronic weapons, since those are capable of affecting alpha brain waves that are usually registered in the range from 8 Hz to 12 Hz. As a rule, a brain only starts producing alpha waves at the frequency of 13 Hz only in a state of sleep. In the course of various studies it was established that more than on one occasion a control panel indicator led flickering at 13 Hz led to military aircraft crashes. For this reason, all such indicators in the US Air Force have been replaced with those working at other frequencies. At the same time, it was found that electromagnetic waves transmitted at such a low frequencies are amplified by the Earth and the surrounding ionic layer. At the same time it became clear that sound waves with a frequency between 7 Hz to 15 Hz, when transmitted with great amplification and across long distances can be recognized by a human brain as sound vibrations in the gamma-ray spectrum and be used to control people’s minds. The studies in this field were pioneered by the Defense Advanced Research Projects Agency (DARPA) of the US Department of Defense, responsible for developing new technologies for testings an subsequent use by the US Armed Forces. DARPA launched a study called Project Pandora, revealing the effect of low-frequency microwave studies on primates. Although initially the results were inconclusive, the project manager Richard S. Cesaro remained convinced that low-frequency microwave radiation could pose a serious threat to national security and have a detrimental effect on the human body. It is the results of these studies that were laid at the base of the technology of infrasonic influence on the brain that is not just used by special services for espionage and mind control, but also in subconscious advertising. This type of marketing usually aimed at pulling most basic strings of one’s motivation, forcing people to buy products or services they do not necessarily need. It’s a well-known fact that as early as in 1986, Japanese manufacturers started selling so-called “silent cassette tapes”, which soon become a new craze among consumers. When such a cassette was playing on a tape recorder, a person couldn’t hear anything but yet commands requested by the customer- like “quit smoking”, “feel healthy and cheerful” were transmitted via infrasonic frequencies, affecting the brain through the method of neuro-linguistic programming (NLP). Then in the period from 2006 to 2009, I-Doser sound files saw a massive surge in popularity – since those files that were producing psychoactive effects. First I-Doser software released allowed listeners to listen to certain files that were producing euphoria, which is commonly associated with the use of regular drugs. They were stored in drg-files of closed format, which allowed only a certain number of playthroughs or “doses”. Once those were depleted the program would modify those drg-files in a such a way as to make them inaccessible. There is a large number of such “compositions” being distributed across the Internet. Some of those are bearing names that may help users associate them with traditional drugs such as “marijuana” or “LSD”, while others would be bearing abstract titled such as “the hand of God”, “thirst of life” and “revolution”. The wide distribution of such software across various states allowed those behind them to reap massive profits through selling “digital doses”. However, those profits haven’t just allowed them to get wealthy, but also to compensate the investment costs associated with the initial research and development of such software. In fact, I-Doser has become a common name for any software associated with the distribution of “digital drugs”. The drg-files were soon hacked allowing tech-savy programmers to convert their content into common audio formats that could be played by any audio player. This resulted in a number of pirate sites starting offering those digital drugs in the form of ordinary audio formats (wav, mp3) at a small fee, or distributing them for free. As a matter of fact, those digital drugs are built from pulsating sounds, that come at a set of certain frequencies. Listening to these sound files has an effect on the brain due to the so-called binaural beats, that correspond with the frequencies of the brain waves in a situation in a situation when they are being listened through stereo headphones, with different sound signals going to the left and the right ear of the listener. Presumably, digital drugs synchronize brain waves with the sound, which allows them to affect the mental state of an individual. It’s highly possible that a teenager that you just saw on the street listening to his smartphone or walkman, while wearing massive headphones may as well be high on digital drugs craftfully developed by the CIA. And then give a thought to the possible consequences that can come arise from those drugs to this teenager and to you personally! In fact, there’s a declassified CIA document entitled “Operational Potential of Subconscious Perception” describes in detail the methodology for playing with the principles of subconscious perception, which convinces a person to do something that he would not normally have done.